If God does exist, he probably lives in the clouds above Singapore. Travelers who have witnessed it refer to this tiny city - sheltered by the Southern extremity of the Malay Peninsula - as the Garden of Eden, one of the most fantastic and magnetic places in the world. It charms its guests with a most peculiar combination of ancient traditions, in perfect fusion with the latest achievements in science and technology, primeval nature and futuristic buildings. History and modernity. Today, this vivid and multi-faceted Singapore, while still one of the top twenty smallest countries in the world, is an incredibly compelling magnet for tourists from all over the world and inexhaustible source of captivating discoveries and entertainment. The name Singapore stands for an island, a state and a city at the same time and it represents one of the most amazing and paradoxical places in the world. It has managed to develop itself from an arid, infertile island with no natural resources into a highly developed Asian megalopolis in just a century and a half and now ranks well into the list of the world’s richest cities. 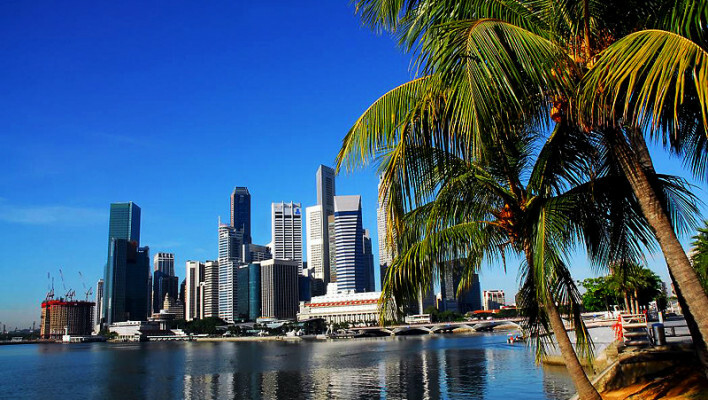 The sheer number of varied sights that are concentrated in Singapore is totally disproportionate to its tiny area of land, yet the uniqueness of these sights stokes the fires of rapid growth in this wonder-island’s touristic popularity. It is the only place in the world, where guests can admire a city from the largest Ferris wheel in the world, swim in an outdoor swimming pool at the height of 200 meters, before walking along a double helix-shaped bridge and testing their stamina on the most breathtaking of theme park rides. 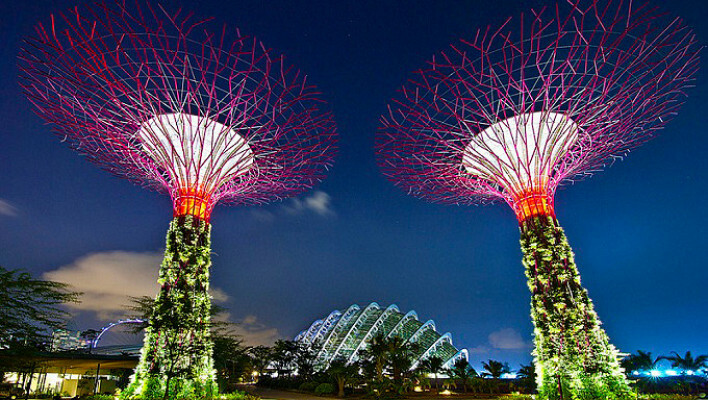 Singapore charms every single visitor with its ultramodern buildings, whose inconceivable shapes evoke emotions from the climatic sequences of fantastic movies. Skyscrapers standing in an orderly manner, while striking the eye with their peculiar shapes, are harmonically combined with the florid labyrinths of the ancient Chinatown's buildings; as cosmic high-tech constructions are combined with elegant buildings from colonial times. Even more fascinating is the opportunity to stroll through a genuine tropical forest, where the amusing macaques rock on the treetops and hundreds of exotic birds fill the air with their songs, without even leaving the city. Unique landscape parks and nature reserves with tropical inhabitants are among Singapore's most valuable treasures and are fiercely protected by locals. This micro-state has many vivid characters. 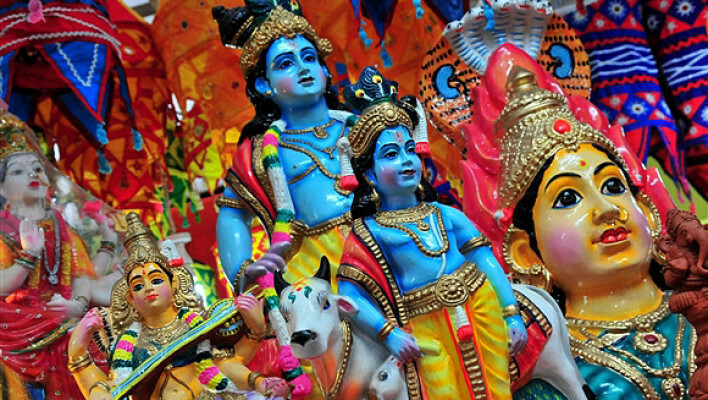 Singapore's downtown is as motley as league of nations living here: citizens of various nationalities with different cultural codes and religions help create the inimitable aura of this tiny country. It is one of the only places in the world, where one can get acquainted with traditions of several disparate cultures in a single day; and only here, can one exit the mosque, cross the street and enter a Hindu temple or pagoda. 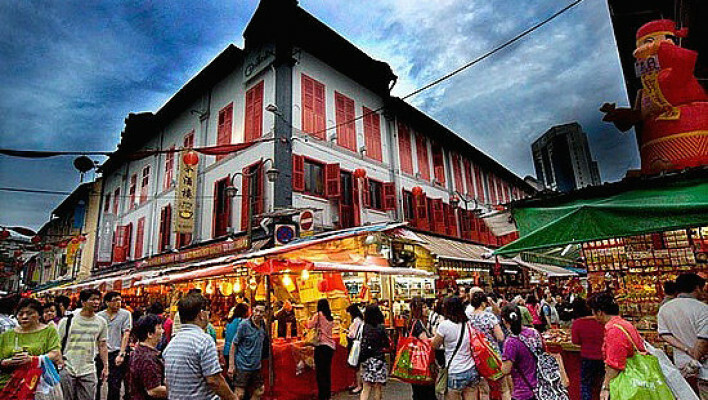 In addition to its historical culture, Singapore is an ideal spot for gastro-tourism. Countless local restaurants, cafes and catering centers offer a palette of unique flavors and aromas, enough to make you feel giddy. Singapore’s culinary offerings are amazingly rich: authentic Chinese, Indian, Thai, Malayan and Japanese dishes are all readily at the tourists’ disposal. This Asian megalopolis is also famous as one of the cleanest and well-attended cities of the world. The locals’ aspiration for order is absolute and they meticulously keep the streets spotless. Residents also take care of their own and tourists’ comfort. Almost all tourist zones and important city routes are protected from the scorching tropical sun with huge umbrellas; while there are virtually no indoor places without air-conditioner; useful for a country with an average annual temperature of + 26-30 degrees Celsius. 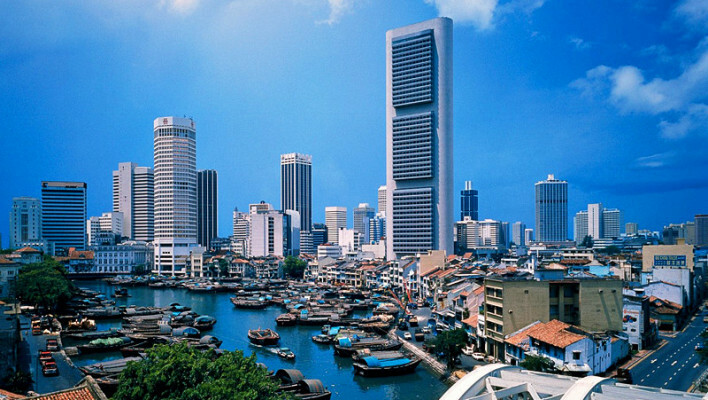 Singapore is a dynamic, pulsating city that lives at the tempo of a never ending holiday. A plethora of free performances are organized across the country every evening, including laser shows and music fans’ shows, concerts and theatre performances with impressive scale and level of performance. This amazing city develops in rapid pace and creates new unique projects every year. 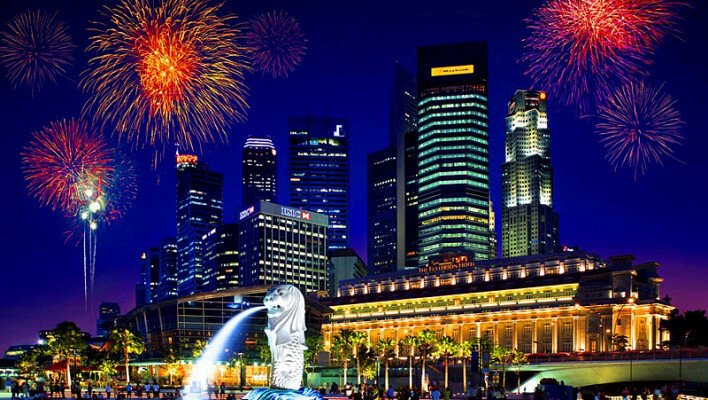 Thus, no matter how often you visit Singapore, it will surprise, delight and offer more and more opportunities for vivid and eventful holiday and for unforgettable impressions. Singapore Food Festival, annually organized by the Government in July, has grown to become one of the key events of the Singapore cultural life. Its main aim is to showcase the variety of tastes, formed by different cultures and traditions. The festival itself features more than fifty stands, where one may taste authentic traditional food from local and international cuisine at an affordable price. Unlike other similar events, Singapore Food Festival is notable for being the one, whose participants are determined by public poll. During one month, the survey on the most popular dishes and plates is held on the city’s food courts. Moreover, to emphasize the festival specific character along with degustation, Singaporeans organize master classes in the ethnic quarters. For example, China Town may host class on how to evaluate Chinese tea, and in Arab Quarter one might learn the art of mixing spices. Opened in 1996, Singapore Art Museum is reckoned among the largest and the most dynamically developing art centers in the Asian region. It has one of the largest collections of Singapore and Southeast Asia contemporary art in the world. Singapore Underwater World is situated on the resort Sentosa Island. It is one of the largest and most beautiful marine aquariums in the Southeast Asia that is reckoned among the city most popular sights: since its opening in 1991, Singapore Underwater World was visited by over 30 million people.